Qantas Cabin Crew member Janelle Stewart gives some tips on what to see and do when visiting Bali. Qantas has fares starting from R16,210 to Bali, Indonesia from South Africa. 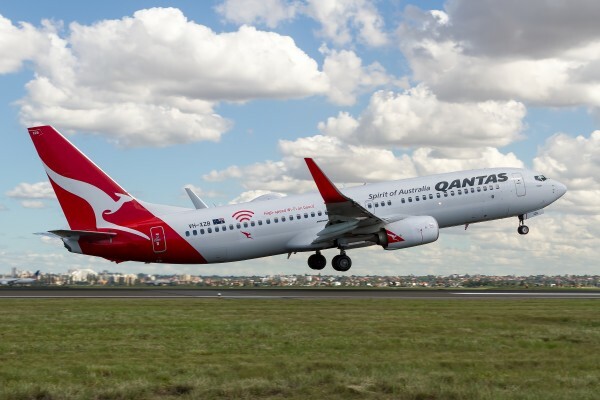 Customers can now stop in Australia for no extra cost*. For example, customers can book flights as a multi-city itinerary from Johannesburg to Sydney, and from Sydney to Bali or vice versa. 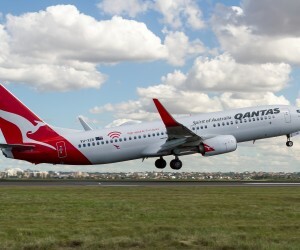 Fares available at Qantas.com or through your travel agent. Q: WHERE ARE SOME OF THE BEST PLACES TO STAY IN BALI? There’s so many beautiful places to stay in Bali all offering a unique experience for customers. My three key favourites would be Nusa Dua for its beautiful beaches and tranquil setting, Seminyak if you’re looking to be part of the hustle and bustle, and lastly Ubud, a place of retreat and relaxation where you can cycle through rice fields and sample the wonderful cuisine. Q: WHAT ARE SOME OF THE BEST SHOPPING HAUNTS IN BALI? Seminyak no doubt. The stores in and around Seminyak square cater to all customers. You can pick up casual beach dresses, sandles, artwork and high-end homewares stores. Shops like Kim Soo and Mercredi are a must. For clothes, head to Jalan Melasti where you’ll find great prices and an ice cold bottle of water thrown in. Q: WHERE ARE SOME OF THE BEST SPOTS TO EAT IN BALI? Where to start, the food in Bali is amazing. The local warungs (restaurants) offer meals for only a couple of dollars. Think beef rendang, nasi goreng, not to mention the fabulous drinks available like lychee mojitos. Q: WHAT’S YOUR FAVOURITE THING TO DO IN BALI? Two words: day spa. It’s one of my favourite things to do ever. Try the traditional ‘Mandi Lulur’ package offered at most day spas, this includes a massage, a traditional scrub made of turmeric and finishes with a bath filled with rose petals, frangipani’s and ginger tea. Relaxation at its best. Q: TELL US SOMETHING MOST PEOPLE WOULDN’T KNOW ABOUT BALI? Bali truly caters to everyone. Whether you’re a backpacker looking for a bit of relaxation, or a traveller wanting a five star experience, Bali has it all. Q: WHAT’S YOUR FAVOURITE THING ABOUT BALI AND WHY DO YOU LIKE TRAVELLING THERE? The Balinese people are my reason for going back time and again as they’re so warm and welcoming. It’s a given as a flight attendant that I enjoy travelling, I’m fortunate that my job with Qantas allows me to travel to different parts of the world and experience all that this desintation has to offer. And I can say Bali has it all. Beautiful people, delicious food, enchanting ceremonies and great shopping. Q: ANYTHING ELSE YOU CAN RECOMMEND IN BALI? Make sure you do a traditional cooking course in Ubud, such as the one offered at Casa Luna. It begins with a walk through the morning market watching everyone haggle for the best and freshest produce. Then it’s back to school for a lesson in Indonesian flavours followed by the main event. After the hard work is done, everyone gets to enjoy a lunch banquet of delicious fish curry, mi goreng and banana pancakes.